On the last weekend of September (Friday, 28 September and Saturday, 29 September) Aachen will celebrate a digital festival – and Qosmotec will join in. At Aachen 2025, companies and academic institutions will present how digitisation will change our lives in many areas. Qosmotec’s contribution to this: Every association its own app. With the Lobadi modular system, it is already very easy and inexpensive to create apps for clubs with everything a club needs to stay in regular contact with its members, friends and supporters. The concept has proven itself in the Aachen Carnival. With the AAK app, all jecken have an overview of all carnival events in Aachen and receive a personal commentary on the Rose Monday procession at the roadside, as if a moderator were standing next to them. 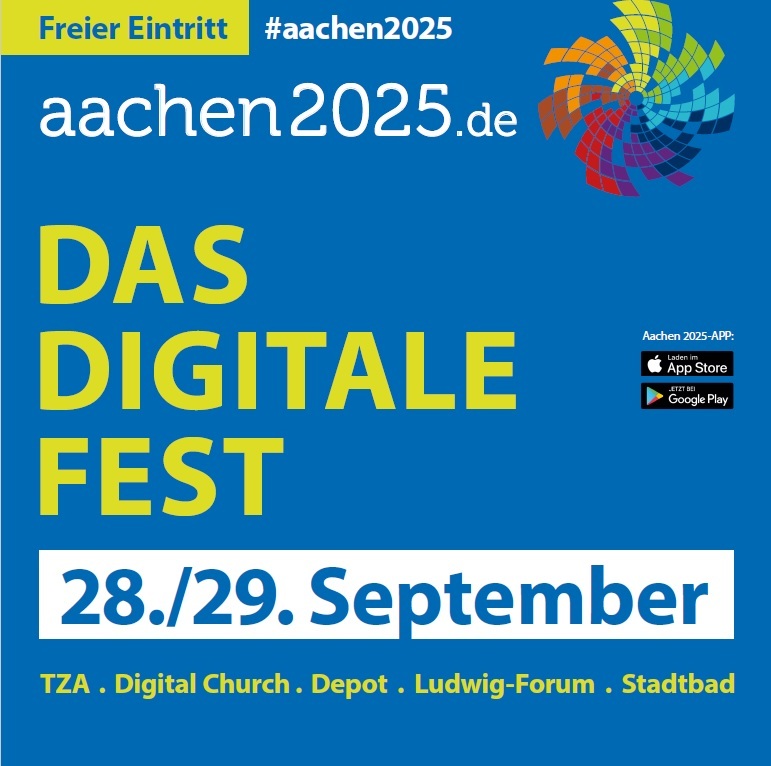 More information on the digital festival at www.aachen2025.de. By the way: The Aachen 2025 App was also created with Lobadi! So: Download and visit Qosmotec at the exhibition booth in the Technology Center!